The pair is still consolidating under 7/8 MM Level. Therefore, there’s an opportunity to have a new local high in the short term. Anyway, wave (iii) is likely going to end soon, which means we could have wave (iv) later on. 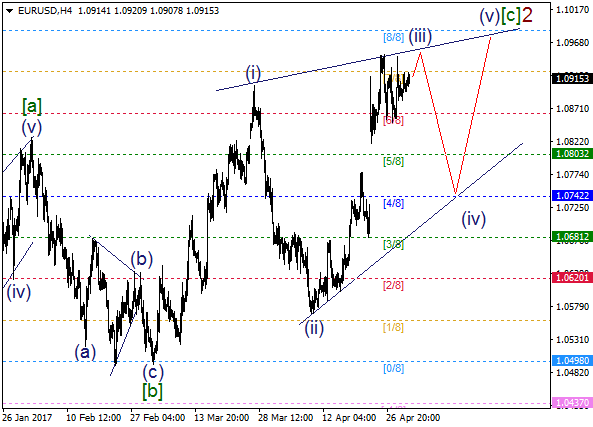 As we can see on the one-hour chart, wave (iii) is taking form of a double zigzag. 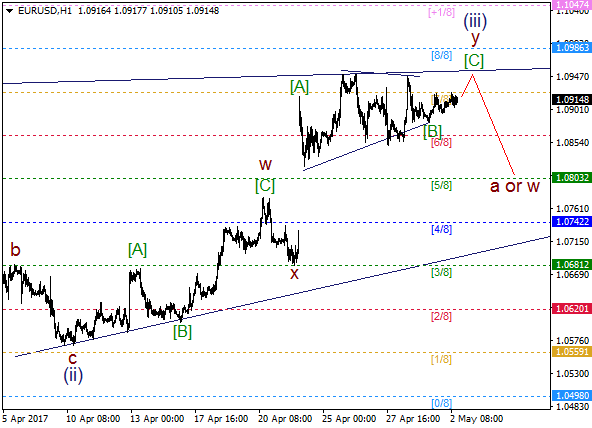 Also, we’ve got a possible triangle in wave [B], so bulls are likely going to deliver wave [C] of y of (iii) during the day. At the same time, there’s a chance to have wave a or w afterwards.